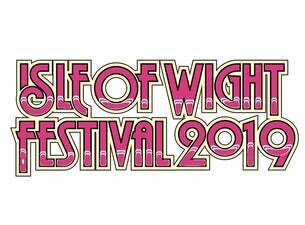 Following Isle of Wight 2018 – one of the festival’s most successful weekends to date – the Isle of Wight Festival will return in 2019 between 13 – 16 June. The multi award-winning festival has a long history, and is world-famous for its amazing variety of acts, mixing legendary artists with the hottest up-and-coming bands. The Isle of Wight Festival 2019 line-up features Noel Gallagher’s High Flying Birds, who last performed at the festival back in 2012. He'll headline the opening night on Friday, rounding up the first day of the festival in style. George Ezra will headline the main stage on Saturday 15 June, his first UK festival headline performance. That night there'll also be a special debut IOW performance from Fatboy Slim, who will keep the crowd entertained well into the early hours after Ezra’s set. Closing the festival weekend will be Scottish rockers Biffy Clyro. Also confirmed on the lineup are rock icons Garbage who will headline the Big Top stage on Saturday night. The multi platinum-selling alt-rock band are currently working on their hotly anticipated seventh studio album. Plus, see the likes of Courteeners, Lily Allen, Fatboy Slim, Bastille, Anne-Marie, Jess Glynne, Richard Ashcroft, Dermot Kennedy, Cage The Elephant, Picture This, Ward Thomas, Wet Wet Wet, Bjorn Again and The Marcus King Band, with even more to be announced in the coming months. Isle of Wight first opened its doors in 1968 and celebrated its 50th-anniversary last year. Since the start, there have been some iconic performances from the likes of The Doors, The Who and the last ever Jimi Hendrix UK show. The festival relaunched in 2002 to become one of the biggest UK festivals of the summer and welcomes some of the biggest, best and brightest in music. Since then, headliners have included Foo Fighters, Paul McCartney, The Rolling Stones, Jay-Z, Coldplay, Rod Stewart, Fleetwood Mac and Arcade Fire. Isle of Wight tickets are on sale now. Read more on the blog here.